I'm hoping to apply to some top EMBA programs (Wharton, Sloan, Yale, Columbia). 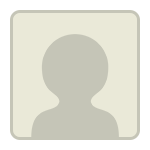 I have 10 years of experience, currently middle management with an engineering background (B.S. 3.35 GPA and M.S. 4.0 GPA engineering degrees). 710 GMAT. I think I have a shot, right? I've searched couldn't find the answer, I was wondering if anyone had a recommendation or has used an admissions consultant that specializes in executive programs? The consultancy I used, Personal MBA Coach, specializes in both traditional and EMBA programs. I had amazing results with Scott during R1 of last year's applications (currently a FY at Duke) and in my opinion he's the cream of the crop. Also, it's a boutique firm so the attention you get is very specialized. I suggest you reach out (I believe he has his own thread here at GMAT Club) and have a chat with him to see how he can help with you applications. Hope this helps! 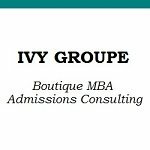 I've worked successfully with EMBA clients - feel free to reach out if that would be helpful (info@ivygroupe.com). Would be happy to discuss your candidacy for EMBA programs in more detail. You can read more about my background here: https://www.ivygroupe.com/founder-ceo. In the past few years we have worked with several EMBA candidates who were admitted to top EMBA programs such as Booth, Kellogg, Haas, LBS, IE & Oxford. Our consultants have experience with EMBA applications, and we’d be happy to discuss this with you in more detail if you’d like to register on ARINGO.com for a complimentary profile evaluation. Good luck!